For almost as long as we’ve known him, Chor Pat has talked about coming to see us in Singapore. It was one of the first things he vowed to do when he finally found a job after becoming homeless. That night, as we celebrated over dinner in Temple Street, he outlined his travel plans and made us promise to be his tour guides. This last weekend he finally made it. We visited the Night Safari and had fun scaring each other inside the bat enclosure. 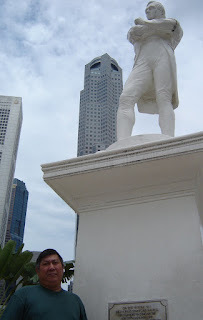 Said hi to Sir Stamford Raffles and posed for a gazillion photographs next to the Merlion. 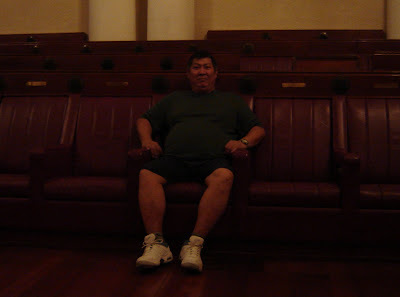 Explored the old Parliament House, where Chor Bat made a point of singling out LKY‘s chair and plonking himself down. And we ate. Boy did we eat… and eat. 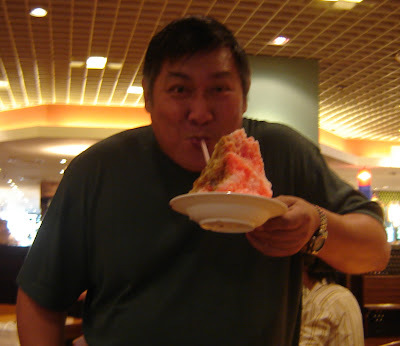 Chor Pat really liked ice kachang and Hokkien noodles. He enjoyed his crab beehoon and sambal squid but wasn’t terribly impressed with or luak – called it a sub-standard version of Hong Kong’s oyster cakes. 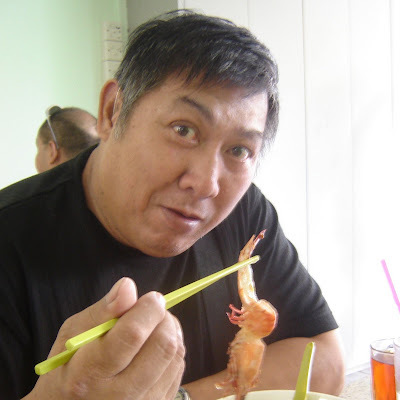 And he loved, loved, loved prawn mee. 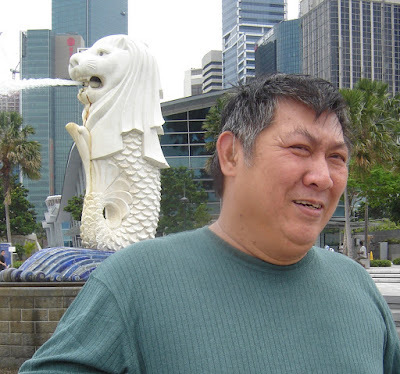 On his last day in Singapore, Chor Pat promised to come back next year – this time, for a whole week. We’re looking forward to that. He was a great house guest. For some reason… we suspect that prawn mee might have somehow influenced his travel plans!